The South West is not exactly known worldwide, or even nationally, as a hub for media companies but with some research you will find that this is exactly what it is. There is a massive range of media fields that are covered in the area, including; television, film, music, newspaper, art, animation, publishing and advertising. In Bristol it has become one of the highest earning industries and according to Invest in Bristol there are around 9,000 people employed in the creative industries that make up 12% of all businesses in the city. Some of these include; the BBC’s Natural History Unit, Aardman Animations (responsible for Wallace and Gromit), E3 and Taxi Studio. Bristol Media is one venture which aims to support local media companies. It has 500 paying members and over 3,500 subscribers. Their aims for the years 2009-2011 were to, “increase the visibility of creative companies and people to a national or international status, develop industry inspired initiatives to retain and attract creative staff by developing training, skills and enterprise opportunities, foster a sense of community and represent sector and industry interests to policy makers”. They have been involved in a number of projects to promote the local media industry. One such project was the Light Up Bristol event in which local companies produce light shows on College Green during the Christmas season to promote their work. 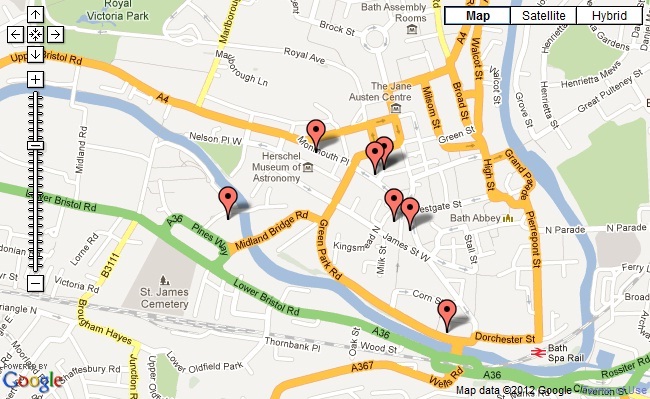 There are several areas of Bristol that are of interest but one in particular stands out. The Bottle Yard is a large warehouse with 300,000 sq. ft. of space which can be used by television and film companies. It aims to entice these production companies from outside of Bristol by offering them the space they need but often struggle to find, especially in crowded London. It is supported by South West Screen. South West Screen, which has now merged to form Creative England (aiming to support independent and small media companies outside of London all over England), in its previous form provided grants and support for small media businesses across the South West and ran many schemes including White Horse Pictures, which set up portable cinemas in cinema deprived Wiltshire. Bath is also a media hotbed and it’s most prominent event is the Bath Film Festival which has been running since 1991. It is home to many companies including the third largest magazine publisher Future PLC. Bath also has its own version of Bristol Media called Creative Bath which has similar aims as Bristol Media. They run many events across the year which allows the public and those involved in the media industries to interact, learn from each other and network. Some of these recent events include; “a creative tune up of your business” and “getting to the top of google”. As you can see; there is a large amount of media activity in the South West. We need not limit ourselves to London in our search for media greatness. Address: Beauford Court, 30 Monmouth Street, Bath, BA1 2BW. (Based at multiple locations around Bath). Future PLC was founded in Somerton, Somerset in 1985 by Chris Anderson (today the curator of TED). Today it is primarily based in Bath, England with offices in London, San Francisco, New York and Sydney. It has a massive portfolio and has cornered the market of specialist magazines, websites and even events and is considered to be the third largest magazine publishing company in the UK. The company’s motto is “media with passion” and they claim to achieve this by hiring only people with a passion for the area in which they work. This ensures they are always up to date, or even ahead of the game, with the latest trends and any new information within their field. The company struggled in the early days, Anderson claims the company was running below the death level scenario he himself set, but had a massive turn around when he started offering free software with his first computer magazines in 1987; something which had never been done before. This was an absolutely ground breaking idea that has since become a standard practice all around the world. It enabled the company to draw competition away from other such publications with the offer of something different. This led to massive growth in the company and in 1991 the company saw the launch of Needlecraft, Amiga Power, Amiga Shopper, PC Answers, PC format, Public Domain and Total. It also acquired magazine Mountain Biking UK and got involved in its first event, the World of Commodore Show; a computer based convention. Today they run 27 annual events including the Stitch and Craft show and the Golden Joystick Awards which both have massive attendance. In 1993 they licensed, from the Channel 4 programme, the magazine GamesMaster, which one day would become the UK’s longest running games magazine and is still going to this day. In 1995 they opened their first London office and celebrated the companies tenth birthday and in 1997 they launched their, now popular, Total Film magazine which sold over 90,000 copies in its first issue. As you can see (figure below) it is currently their 6th most popular magazine in the UK. Taken from Future PLCs Portfolio, available for download at futureplc.com here. Anderson sold the company in 1994 but bought it back in 1998 after fearing the company would be bought by a company like IPC, another leading magazine brand, and become London-centric. He had a lot of passion for the South West and would claim later that he saw the location as the key to the company’s success. In 2001 Anderson left the company for good to work on other projects. In 2005 they bought 38 titles from Highbury House Communications PLC for £30.5 million which leads to four new publishing groups; future entertainment, future technology, future excite and future living. This was a time of growth and experimenting which led to the company scaling back in 2007, after some failed ventures, closing 51 titles and disposing of Future Italy and Future France. Today one of their biggest successes is their gaming portfolio which includes: PCGamer, GamesRadar, Official Playstation Magazine, Xbox 360: The Official Magazine and Nintendo: The Official Magazine. They are considered number 1 worldwide, according to their portfolio, for gaming magazines. All three of the major consoles carry their content including Access, a weekly HD video show, for Playstation 3, their OXM report for Xbox 360 and Nintendo TV for the Wii. Another successful area of the business today is their “customer publishing” section which produces magazines, apps, websites, videos and more for a huge number of partners including; O2, Tesco, Best Buy, Jessops and Odeon. They most prominently produce Odeon’s magazines. Whilst for 2011 the company’s revenue for the UK was down 2%, and the US down 16%, there was continued growth in digital revenue by 31%. This was due in part to their introduction of 55 products on Apples “newsstand” in October 2011. They had six million downloads and $1m revenue in just one month. Of these downloads 22% were from the UK, 38% from the USA and 40% from the rest of the world but mainly France, Germany, China, Korea and Australia. (Figures found here). Due to some losses on 2010 there has been some restructuring of the company including the dismissal of chief executive Stevie Spring, the cutting of directors pay and the selling of their New York operation to a company called NewBay. The American division made a profit of £5.5m in 2010 which this year became a loss of £19.3m. They have acted sensibly by making quick changes in order to boost their profits for this year. Their new focus on digital products, including apps, shows they are thinking ahead. However, considering they have more than 80 magazines selling 2.9 million copies each month there is nothing to sniff at. They are considered the third best specialist interest publisher in the whole of the UK and are the number 1 UK magazine exporter. They have successfully built up a company whose influence stretches worldwide, for example: there are 21 international editions of their tablet magazine T3. They also hire over 1,100 people worldwide. There is no doubt that Future PLC is a major player in the media businesses of the South West. The company was, after all, born and bred here. The first to use free software in 1987. Won the AOP best digital publisher award. Introduction on Apples Newsstand in 2011. Australian offices open in 2008. Large amounts of information found in their portfolio, here, or on their history page, here. Case Study 2: BBC Natural History Unit, Bristol. 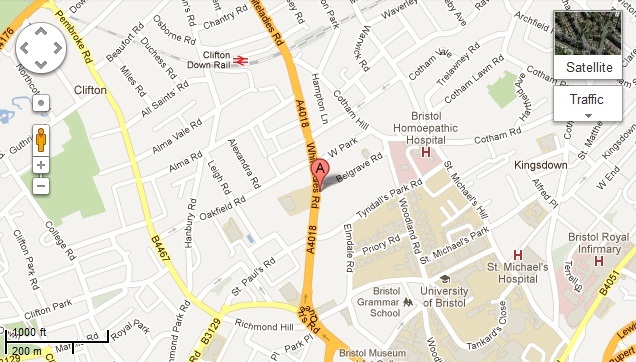 Address: BBC Broadcasting House, Whiteladies Road, Bristol, BS8 2LR. In the 1940’s Desmond Hawkings, a keen amateur ornithologist, joined the BBC’s West regional staff. He had a personal interest in nature and in turn developed several radio shows called The Naturalist (1946), Bird-song of the month (1947) and Birds in Britain (1951). In the early 1950’s he was promoted to Head of Programmes and was interested in trying to transfer his success to the television. With the support of Frank Gillard, the regional head, they were able to officially form the Natural History Unit together in 1957. The unit has been based at the Broadcasting House Bristol since its formation. The first program to be produced by the NHU, before it was officially formed, in 1955 was Look, broadcast live from an ornithologists research centre. At first it was just a selection of Peter Scott’s, a prominent naturalist, films but soon grew in to a weekly showcase of early nature footage by a variety of guests with Peter Scott as host. In the early days nature filming was very basic and not a medium well explored. Arguably the NHU was a major factor in the development of nature filming as a science and art form to the standard it is today. One particularly ground breaking piece of footage was that of the inside of a Woodpeckers nests, achieved by removing part of the tree trunk and replacing it with glass, which shows the innovation of the time. Film makers were going extra lengths to present the natural world in ways never seen before. The BBC faced competition in the 1960’s by ITV’s rival show Survival (1961). Survival was designed to be more accessible to the everyday average person and so focused on entertainment, not education. However, in the end, the fact that the BBC focused their nature programs firmly on education, but in a way that was accessible and understandable for normal people, and presenting themselves as more genuine ensured the popularity of such series endured. They did this by directly working with scientists and experts who could support any shows in production. Another strategy to keep the support of the nation was outlined by David Attenborough (quote found here, on page 436), “When I arrived here, BBC-2 had no Natural History programme whatever, and as you may imagine, I was anxious that it should have a regular one as soon as possible. But equally we feel it would be wrong to try to produce a carbon-copy of either “Look” or “On Safari”. At the moment we have scheduled a new magazine dealing with Natural History in general, from a fairly scientific point of view…” Developing a supporting publication was their way of continuing interest in what they were doing on screen also in between series. It developed the nations interest. David Attenborough, a trained zoologist, was originally asked to be Senior Producer for the unit but due to family commitments declined. Instead he was placed in charge of the Travel and Exploration Unit and we now know he has had a long career with the NHU and become a national treasure in his own right. In 1967 when colour transmission arrived on BBC Two Attenborough, who had moved from programme making to administration, believed natural history was a good use of colour television and would make a big statement. One of his first big programmes was Civilisation (1962). The format, of a presenter travelling the world to support a thesis in 50 minute episodes over a number of episodes, would form the bench mark for many of the later NHU series to come. One of the biggest successes, and following on from this format, for the Natural History Unit was Attenborough’s Life on Earth (1979) which featured 39 countries, 650 species and involved over 1 million miles of travel. When it was broadcast it received audiences of 15 million people in the UK and was seen by around 500 million people worldwide. Planet Earth (2006), at a cost of £16m, is one of the most expensive nature documentaries ever made by the BBC and the first to be filmed in high definition. The first episode had 9.41 million viewers which, although it decreased over the series, never fell below 6 million. Like many of the other series and films by the Natural History Unit it won many awards including the Science and Natural History award at the Royal Television Society awards in 2007. It was seen by millions worldwide and spawned books and a soundtrack album. One of the longest running of the NHU programmes was Attenborough’s Wildlife on One which ran from 1977 to 2005 and had a regular evening slot. These episodes were shorter than the bigger documentaries at only half an hour an episode. Most recently Human Planet took the usual NHU style in a different direction by focusing on humans in extreme areas of the world. It took three years to finish. Today the NHU continues to be popular and is well known all over the country and arguably the world. It has churned out a host of successful shows and features including but not limited to: The Living Planet, The Really Wild Show, Life in the Freezer, Big Cat Diary, The Blue Planet, Wild Down Under, Springwatch, Planet Earth, Yellowstone, Human Planet and The One Show’s natural history content. It is an incredibly successful section of the BBC even to this day. It had given us innovation and huge improvements in the world of nature filming and for this the NHU has won numerous awards including; BAFTAs, Emmys and the Prix Italia on three occasions. The Naturalist first Natural History radio show in 1946. Look first broadcast in 1955. Life on Earth broadcast in 1979 seen by 500 million worldwide. Won the Gold Medal at the 2001 Royal Television Society awards. Celebrated 50 years of film making in 2007. A lot of information found here, here and here. Another year and the same old question resurfaces; why exactly is studying the media important? Manuel Alvarado, one of the early supporters of media in education, said it best when he essentially said that we should study the media simply because it exists. How many people do you know that haven’t ever read a newspaper, watched a television show/film or been on the internet? It is something that is heavily integrated in to all of our lives. There are, however, many other more “academic” reasons for studying the media. The first main reason is that we can learn a lot about society because the media is in some ways a reflection of society. We created the media in its many forms and we therefore put a part of ourselves within it. It is a record of our civilisation now as it is (and has been) and also of how we perceive the world. It is a time capsule of sorts; only one we don’t have to wait to dig up. The media is also not only a reflection of the society which creates it but also a tool for propaganda and control of that society. From early in history world leaders knew this and used it to their advantage. For example; propaganda film: “The Eternal Jew” in Nazi Germany or even the earliest considered propaganda the Behistun Inscription (c. 515 bc). It is important in this respect to learn about the media because then we can learn to make a distinction between propaganda and “truth”. It could also be argued that without the media civil rights movements past and present would go absolutely no where. Take a look, for example, at the “Arab Spring” and “Occupy” protests currently happening. The world is changing and the media is at the forefront of this revolution. Through this new form of social media these ideas spread and people were able to form their own versions of these movements locally. It can be argued that the government, the police and the corporations are at the top of our society. Social media gives us a new platform to criticise and analyse their behaviour. For example; police brutality has been well documented on youtube and blogging platforms. Both sides of the picture are now being shown. On the other side of the coin traditional media is still clinging to its old ways. The Occupy protests originally were not covered in great detail, if mentioned at all. There was for some time a media blackout surrounding them. This shows so clearly the power of the few (those who own the media corporations) have over the majority. One such clear example is that of Rupert Murdoch and his huge media empire. He has often been accused of undermining British Democracy and criticised for close relationships with PM’s and MP’s alike. Without the general population knowing how this works nothing can be changed. After all this is supposed to be a democracy. Above all the media has revolutionised our lives. Nothing will ever be the same again. And finally; if that doesn’t convince you maybe this will. Media studies contains: history, geography, civics, literature, business, language, science and technology, philosophy, psychology, art and politics.